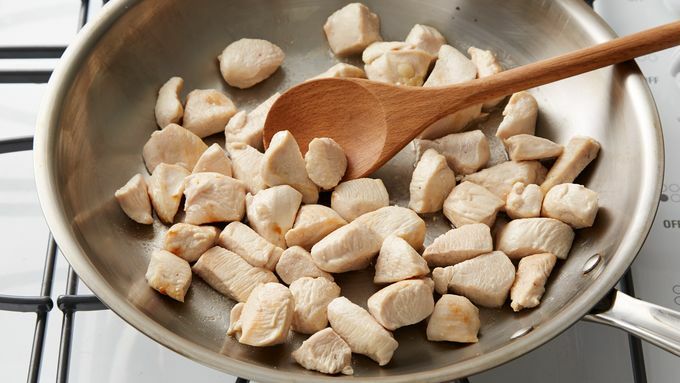 In 10- or 12-inch skillet, cook cubed 1 1/2 lb boneless skinless chicken until browned and no longer pink in center. 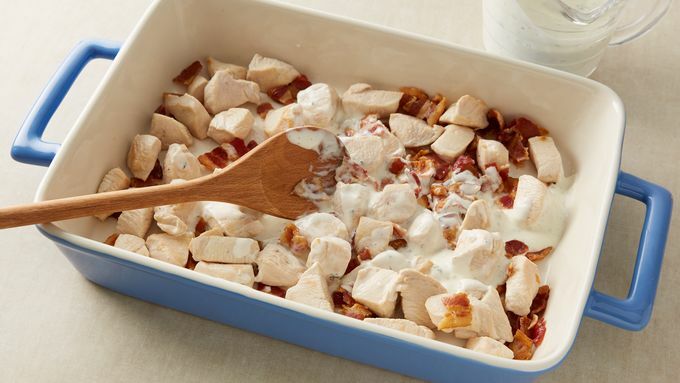 In ungreased 13x9-inch (3-quart) baking dish, place cooked chicken, 8 oz crumbled, cooked bacon and 1 1/4 cups ranch dressing; stir until chicken and bacon are evenly coated with dressing. Sprinkle with pepper to taste. Separate dough from 1 can (16.3 oz) Pillsbury™ Grands!™ Southern Homestyle refrigerated Original or Buttermilk biscuits into 8 biscuits. Cut each biscuit into 8 pieces. 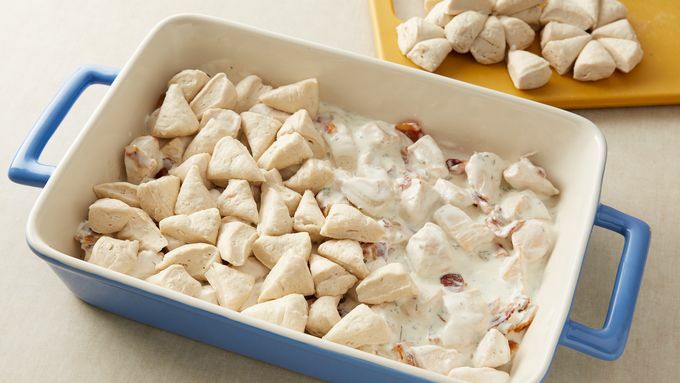 Evenly spread biscuit pieces over chicken mixture in dish. 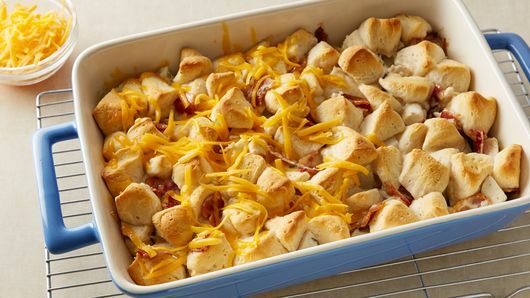 Bake 20 to 25 minutes or until biscuit pieces are puffed and no longer doughy. 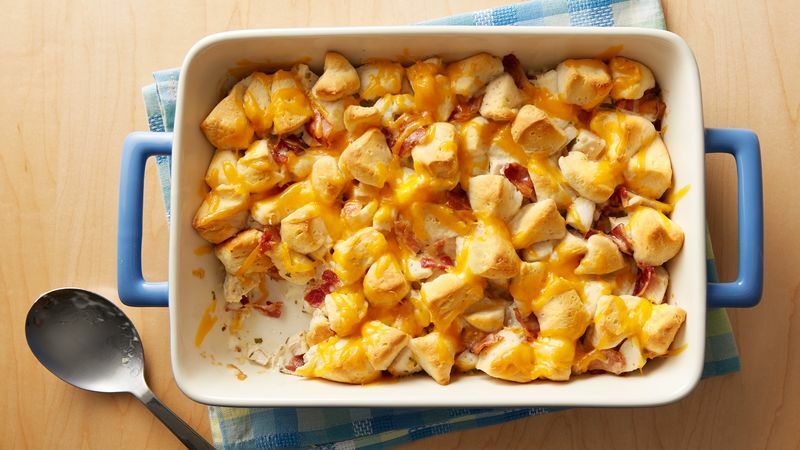 Sprinkle 1 cup shredded Cheddar cheese over top; bake 5 minutes longer or until cheese is melted. Cut into squares to serve. Save the leftovers for a great lunch the next day. Add thawed frozen broccoli florets to make it even more filling!